Photo: Micah Baldwin via Creative Commons. What does it mean to be human? Professor Colin Renfrew and Dr Paul G. Bahn, editors of The Cambridge World Prehistory, look at how radiocarbon dating is affecting the future of our history. The study of world prehistory is gaining momentum! With the development of radiocarbon dating by Willard Libby (who won the Nobel Prize for Chemistry in 1960) it has been possible to date in the laboratory organic material from secure archaeological contexts up to 40, 000 years old. For older periods other radiometric means are now available. More recently the application of DNA studies means that one can begin to re-write the population history of the world. The result is that for every continent in the world archaeological research is developing rapidly. This new research is crucial for the understanding of early human existence, not least in the Americas or in Australia where prehistory ended (and history began) with the keeping of written records only a few centuries ago. 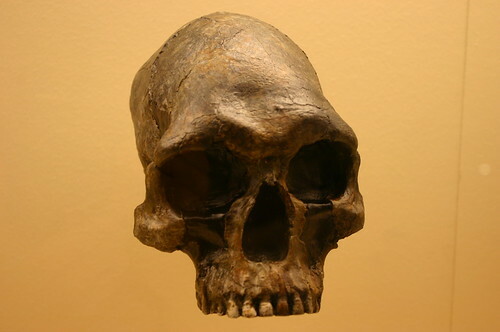 Homo Sapiens 13,000 to 9,000 Years Old. Photo: Ryan Somma via Creative Commons ID K4YDKXFZZMK6. One answer comes from understanding the emergence of our species, Homo sapiens, in Africa two hundred thousand years ago. Another picture emerges by following the out-of-Africa expansions of Homo sapiens to the other continents of the world from around 50, 0000 years ago. Yet the biggest changes came with the development of food production (the ‘agricultural revolution’) from 10,000 years ago. With the major population increases which followed came greater social complexity and the rise of cities, of state societies and of literate civilisations. Fifty years ago, after the radiocarbon revolution, it became possible, for the first time, to write a World Prehistory, and for a single author to attempt the task. Today it takes a team of 100 specialists to cover the abundant information emerging from all continents in the fields of anthropology, molecular genetics, historical linguistics as well as archaeology which the study of prehistory now encompasses. 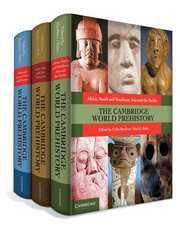 The Cambridge World Prehistory sets out to do this with a world coverage never before attempted. It covers every continent and every period of the human story. It demonstrates, we think, that prehistory and archaeology have a great future.